Now that when I travel even to the grocery store I need an arsenal of items to entertain little hands, I'm constantly on the look out for chic bags to tote around. This one is so dreamy: from the size to the material and the pattern. It's officially on my lust list. I think I have that same bag pinned...it is so drool worthy! 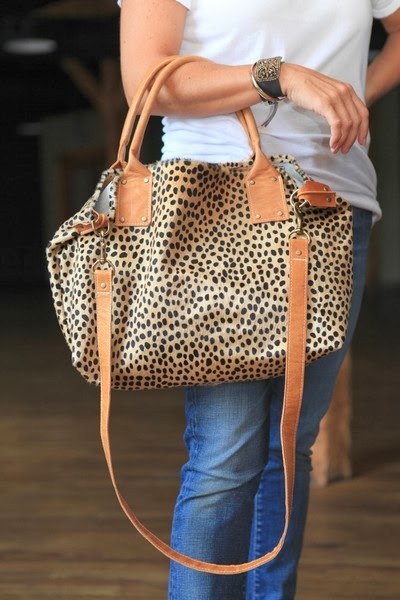 LOVE THAT BAG!! AHHH I'm obsessed with leopard print anything lol! This really is beautiful. I need a good bag...it's time! Love the bag! The print is so pretty! This bag is gorgeous!!!! I need it!